Ahfaz Ahmed is a blogger who loves to write about blogging and internet marketing. With his blog, he aims to help people grow their website traffic and make money. He walks you through a step-by-step approach in his articles and is obsessed with extremely detailed articles. You can follow him on Twitter to get the latest updates by him. According to Jeff Bullas, a Twitter user is 500% more likely to post blogs. This means Twitter has now become the biggest gathering place for content creators. And this is why Twitter is very important for everyone. 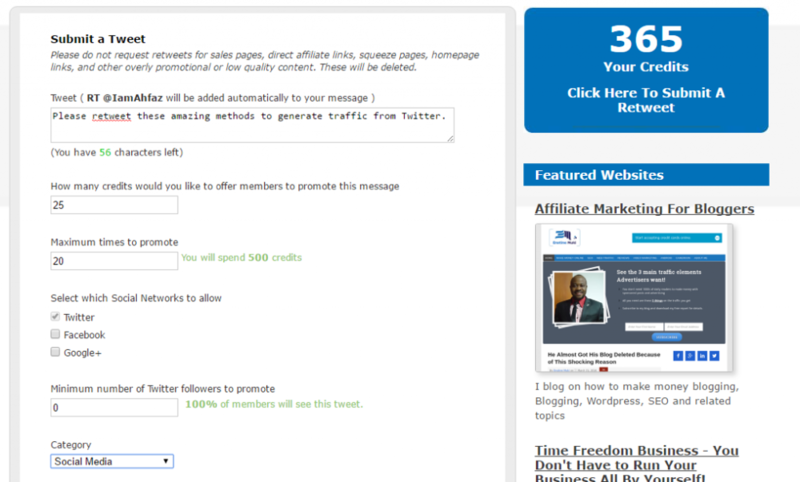 You can use Twitter advertising to drive MASSIVE traffic to your blog. But the question that is asked most often is: How do you leverage Twitter advertising to drive tons of visitors to your blog? There are many ways to bring in traffic from Twitter. But the most important thing is that you use these techniques properly. In this post, I am going to show you exactly how to drive MASSIVE traffic from Twitter to your blog. 1. Go to FollowerWonk and sign up for a free account. 2. Once you’re signed up, go to the search bios tab. 3. Now enter the keyword you want to target. I am searching for “Content Marketing.” Let’s see what comes up. As you can see, these are the twitter users with the keyword “Content Marketing” in their profiles. Now you can sort the list by many metrics as given. For example, if you want to target people with high social authority, then sort the list by “social authority.” But in this case, I used the number of followers to find my target audience. In the free version of FollowerWonk, you cannot export this list or simple click the follow button on the left of the profiles to follow people. You can upgrade your account to get these features. So if you want to follow these people, just click on the profiles and follow them. Identifying your target audience is a very crucial step and, if done correctly, will help you grow your blog traffic faster. The next important step to increase your blog traffic is to optimize your Twitter profile. You can’t just expect people to like and share your tweets if your Twitter profile is not optimized. And optimizing your Twitter profile doesn’t just mean changing your bio. There’s more to it. The first thing people see is your profile image. The best practice is to set your own image as the profile image instead of a logo. Because most people tend to ignore profiles with logos as their profile image. If have your own picture as the profile image, then people will know that you are a real person. Never use an animated GIF as your profile picture. It’s really annoying because you have to see the same little animation go over and over again. Your cover photo explains what you do and what you like. It is the best way to describe yourself. There are many ways that you can describe yourself visually. These brands explain their product in a brilliant way and you can learn a lot from them. Your bio is the next thing you need to optimize to explain your brand. It should be short, sweet and should include a strong call to action. This means you have only 160 characters to explain your business. The most important thing you need to do to optimize your Twitter bio is to include hashtags and keywords. That’s because doing so will increase the chances of your profile showing up to new people. This will increase the chances of people visiting your blog. Even if you don’t have a blog or a blog, you can link to your social media pages, like Instagram account or Facebook. Pinning a Tweet to your Twitter profile is helpful for getting people visit your blog. But don’t just pin a random article of your blog; it should be something that people can’t miss out on. Use some trigger words that will make people want to click to your blog. Your tweets need to be perfect. You can’t just expect people to visit your blog if your tweets are boring. But the question that arises is: what metrics determines whether a tweet is perfect or not? My answer to this question is: no metric can ever determine the perfection of a tweet. The only thing that should be kept in mind is: what are your goals? Yes, the only thing I use to determine whether my tweets are good or bad is by setting some goals. People who see your tweet should also click and visit your blog. 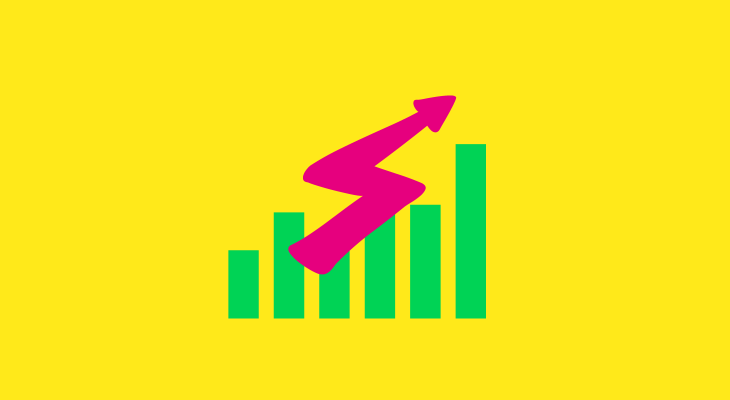 It means you should convert your tweet impressions into clicks and shares. 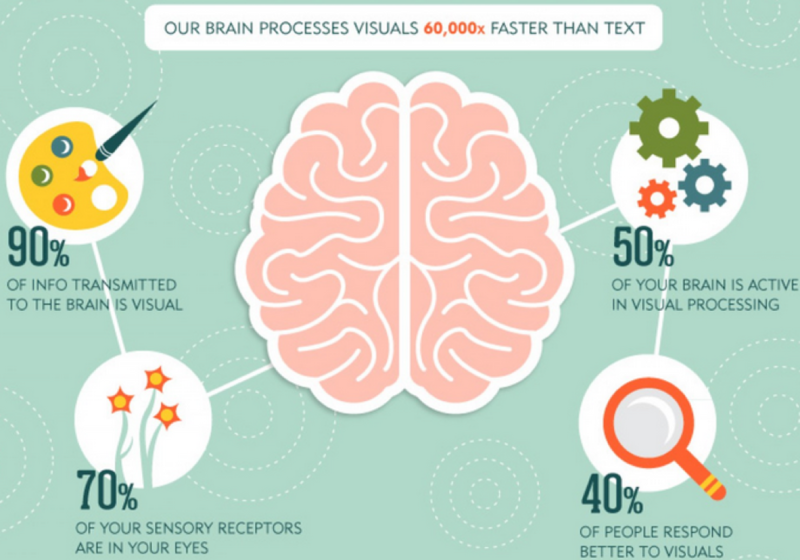 Our brain processes visuals faster than text. With this in mind, try include images and visuals in your tweets. 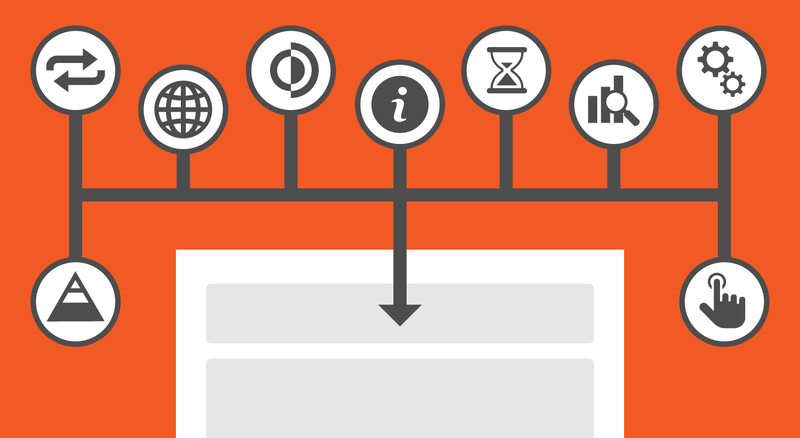 One interesting fact about using visuals on Twitter is that they will take more vertical space on the timeline. This will help you grab the attention of the user. 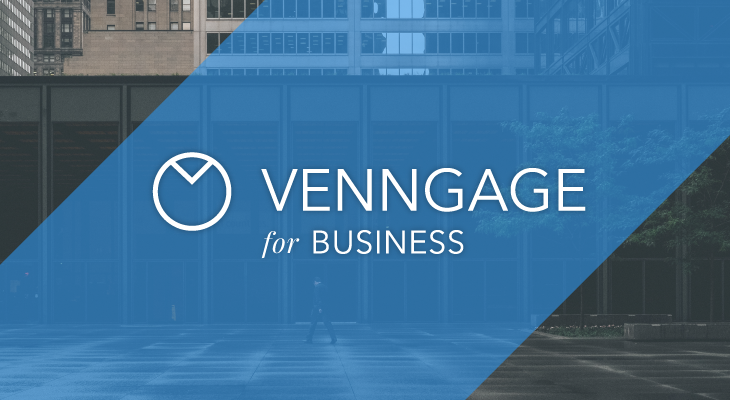 You can create amazing visuals using Venngage for your tweets. 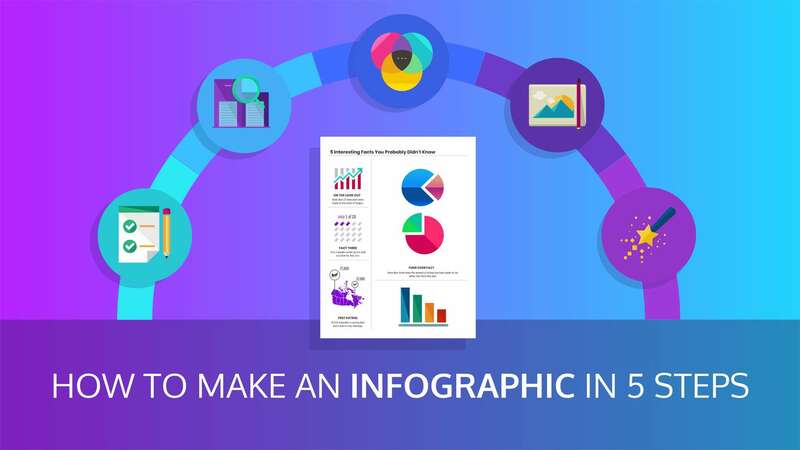 Moreover, using images with data and charts can outperform those with random stock images. 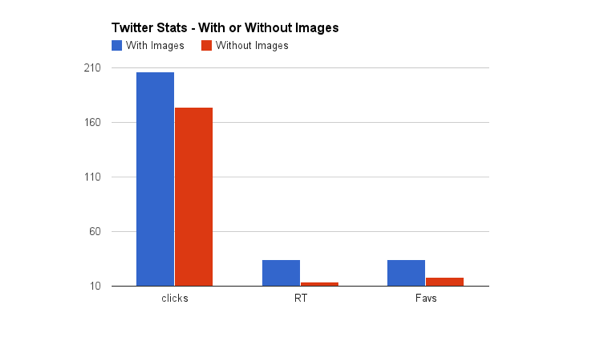 You may be surprised when I tell you that tweets with images receive 18% more click-throughs and 150% more retweets. 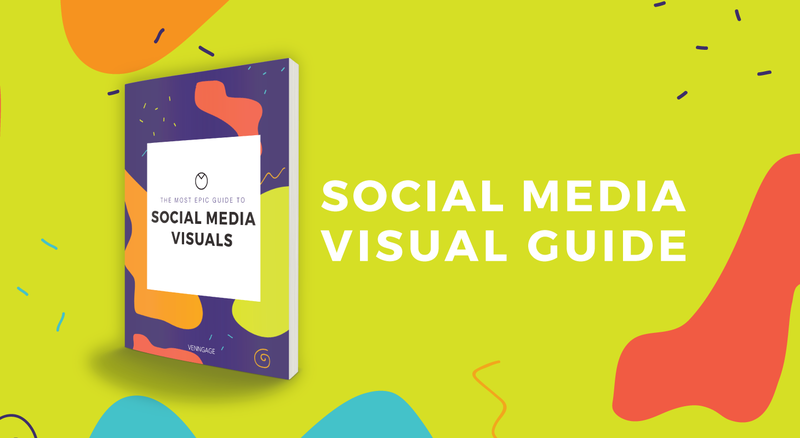 You can use visuals on Twitter in many ways. 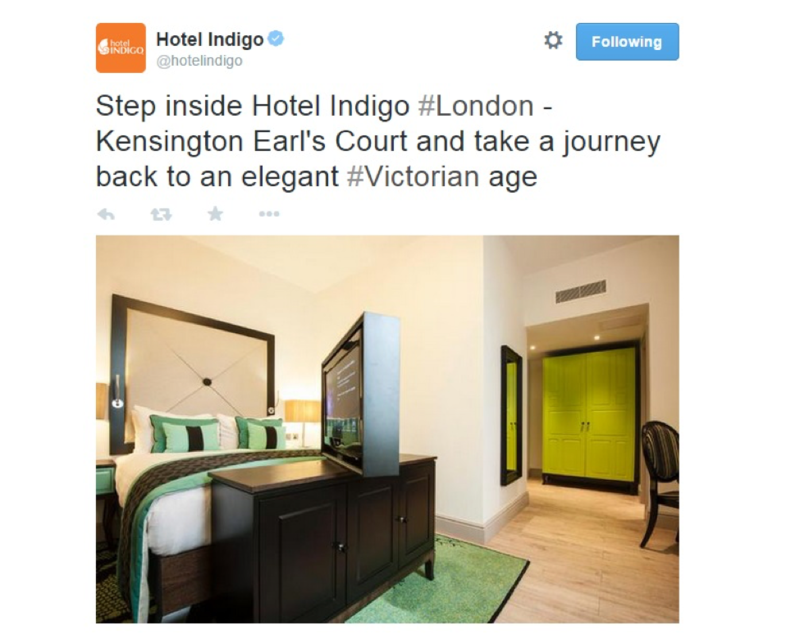 For example, Hotel Indigo promotes its guest rooms by providing a sneak peak of the rooms. Vine videos work great and helpful in grabbing attention. You can upload videos of your product or tease them with your product features and upload it on Vine. Vine videos have been proven to get more likes and retweets. And if you don’t want to upload videos then GIF’s will work great for you. You can use many web-based tools that help you make quick GIF’s. Tweets with hashtags receive 2x more engagement than others. This is because it gives your tweets more exposure. But using too many hashtags is a problem because it looks like spamming. Use a maximum of up to two hashtags. Using more than that may decrease the number of retweets you will get. Including a strong call to action can increase your tweet engagement. 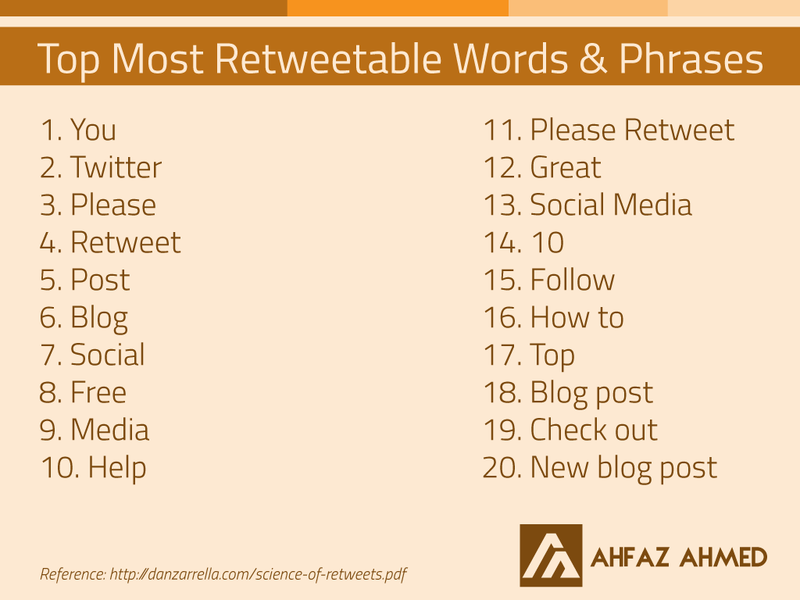 Using the word “please retweet” will give a boost to your retweets. 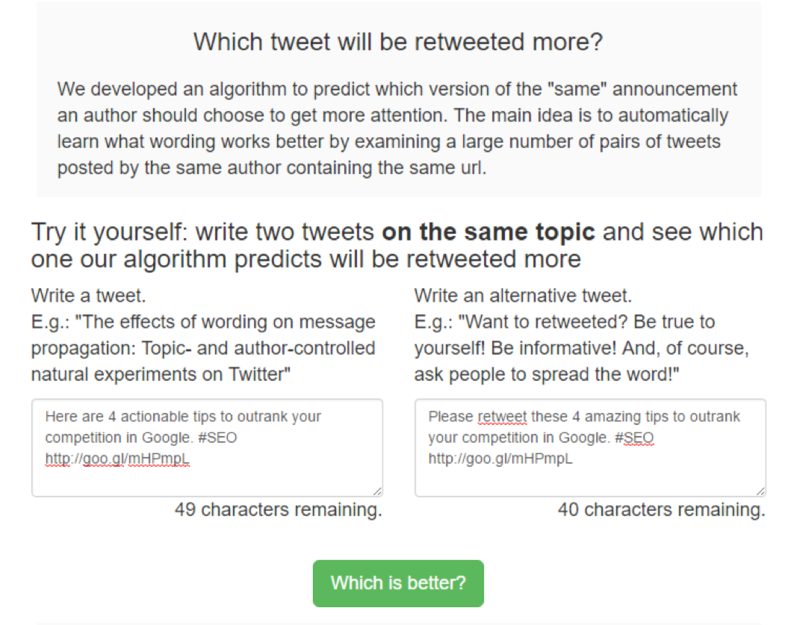 Recently I found out a tool that will help you choose the tweet that will perform well. All you need to do is to add two different samples of tweets. I have typed these two different tweets. The only difference in these tweets is the call to action. As you can see, the second tweet has a 96% chance of being better. This is because of the call to action “please retweet”. 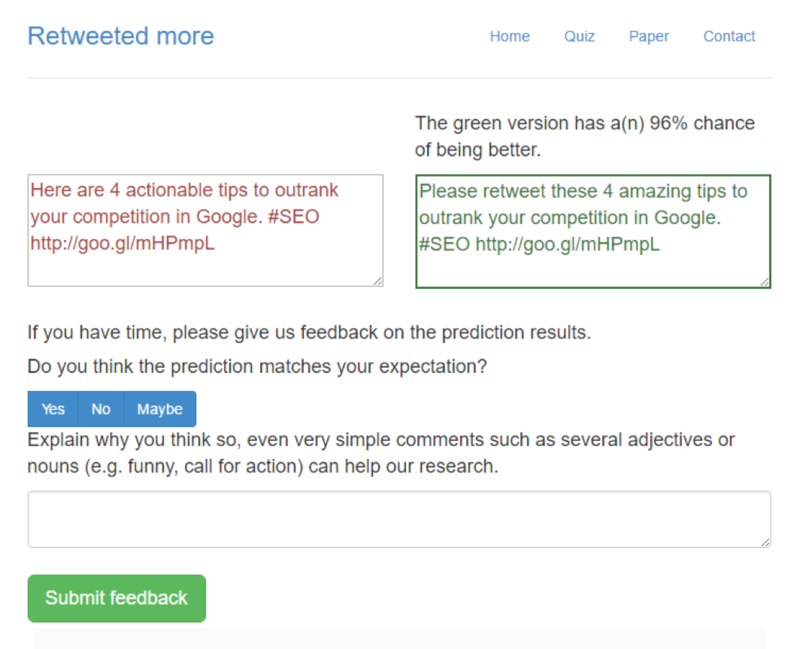 To check whether this result is correct, you can test the two tweets and see how correct their algorithm is. This one is important because if you don’t tweet at the right time, then your tweets will not be seen by your audience. You need to find out the best time to tweet. And this time depends on when your followers are using Twitter. There are two ways of finding the best time to tweet. To manually find out the best time to tweet, you need to set a posting schedule. Set five times in a day to tweet. Tweet on the set times for at least a week. To get better information, try to do this for a month. But it is obvious that won’t be using Twitter all the time. And this is when tools work. I prefer to use Buffer for scheduling my tweets. After following this for a while, you will get an idea of the best time to post. Once you get the best time to post, set your schedule according to that time to get the best results. According to the data collected by Buffer, the best time to tweet is between noon and 1:00pm. Now you can use this data to your advantage by scheduling your tweets and by checking the best times. This is helpful because you already have an idea of the best times to tweet. You just need to experiment and find your ideal time. You can encourage people on your blog to tweet your content. And do you know the best part? They will share your content with just a click. 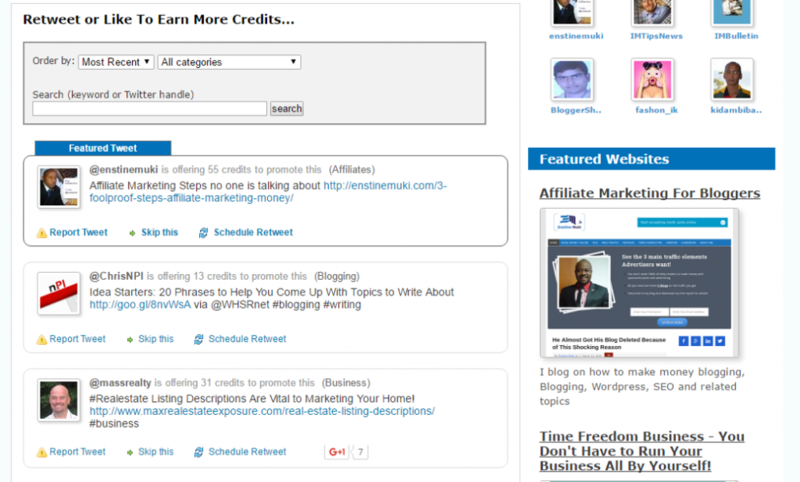 You can add tweetable quotes in your blog articles by using many WordPress plugins. But the best one I know is Click to Tweet by CoSchedule. This will help you increase your blog traffic and shares. 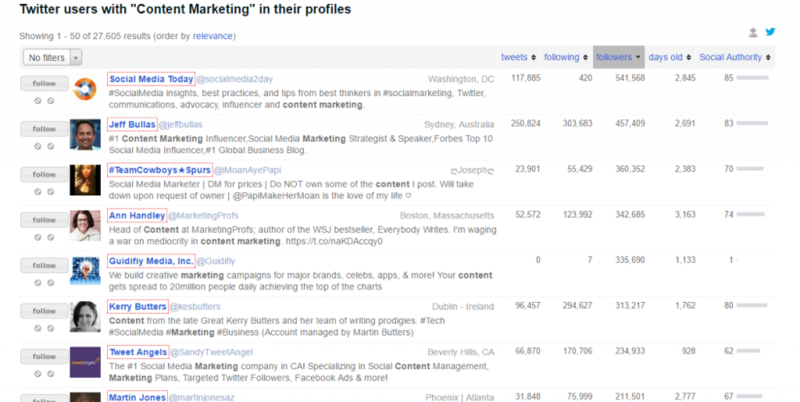 There are many tools that will help you find influencers on Twitter and give you stats for your profile. 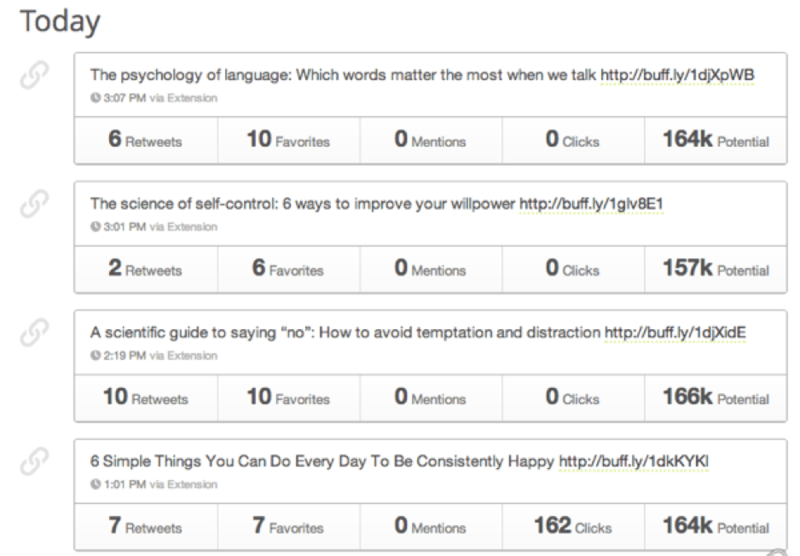 But I have been using a tool to drive traffic to my blog from Twitter. The tool that I use is: Just Retweet. And it’s not just me, many great bloggers like Enstine Muki, Kristi Hines and Harleena Singh use this plugin. As you can see, I have 365 credits. Let me explain you what this means. 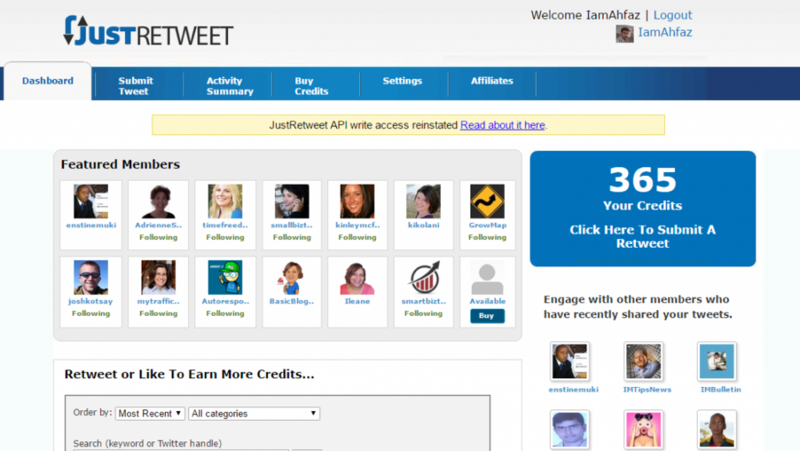 Whenever I share someone’s content on Twitter, Facebook or Google+, I will get credits. The number of credits depends on the person whose content it is. Let’s scroll down the page to make it easier for you. I think now you get it. I will earn credits if I share any of the posts you see in the picture. You can also see the number of credits I will receive for the share. Once you have enough credits, you can submit your content for sharing. Now, as you can see from the image above, these are the things required for submitting a tweet. This includes the tweet itself, along with the number of credits you want to give per share and the number of times you want to promote it. You can also select the networks you want your content to be shared on. This way you can get your content shared by many people. I’ve been using this tool for a while now and before you use it, I want you to know that this will not help you get thousands of visitors to your blog. But when your blog is new or you do not have a good social media presence, use this tool as much as possible. So that’s it. These were the different ways you can use to increase your blog traffic using Twitter.